Our focus is on “wellness” which means we are asking you to come to us to feel healthier, even if you are not unwell by any normal medical standards: to feel stronger, slimmer, happier and more alert and to fight the symptoms of ageing. The Green Apple is a small, independent fitness centre with a focus on wellness. The primary objective is to provide a place where “non-gym” people can exercise in a fun, safe, and non-threatening environment. The Green Apple opened in 1978 and has developed into a club that has programs for all age groups – from seniors to people as young as 10. Our size allows the Centre to have a strong family feeling where laughter and happy voices echo and enduring friendships are made. We encourage relationship-building from staff to staff, staff to members and members to members, and all clients have many opportunities to meet both in group activities in the Centre and in social gatherings and trips. 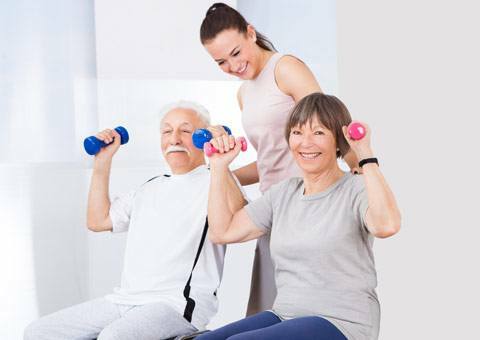 The Centre is registered with Fitness Australia and our experienced staff, representing all age groups and some who have been working at the Centre for more than 30 years, are fully qualified and registered. Their motto is “Inspiring Action”. We do not have loud music or banks of televisions or complicated equipment. Instead we focus on one-on-one care, providing a professional service in a community-friendly environment. You may have noticed that we don’t have membership prices on our website. The Green Apple is not a one-size-fits all place. We pride ourselves on being able to tailor things so that they are individualised especially for you, and that includes your membership! We believe that everybody deserves the ability to be able to look after themselves properly and sometimes that can be a bit overwhelming, especially if you’ve never been an “exercise” or “gym” person before, no matter where you are in life! When you come to the Green Apple, you will be greeted by one of our friendly reception or allied health team members. The first step to take in your Green Apple journey is to arrange an initial consultation, where you will engage with a team member who will want to get to know all about you. This consultation is the gateway to becoming your best self. You will work in conjunction with your consultant as to the best pathway for you, depending on your circumstances. All the decisions are yours as we don’t just talk at you, instead we try to help you find solutions to problems, some you may not even know you had! If you decide at this point in time, you would like to join our Green Apple community, you will be booked in for your induction sessions with a fitness professional or exercise physiologist picked for your specific needs. 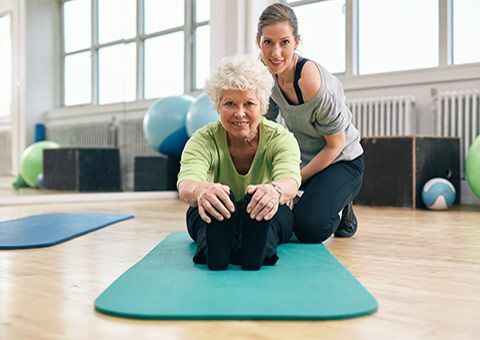 Your first session identifies your starting place and any additional needs which may relate to problems with core, balance, posture, previous injuries. We keep your personal goals in mind as we commence designing your exercise and teaching you what to do. Your second session will continue to build on what you have coped with in the first session. We answer any questions you may have from your last session and we ensure that you feel confident to do everything that you have been shown. Your third personalised session is categorised a “Buddy Session”. The person on staff appointed as your Buddy will do your weigh and measure and make sure you remember, and can do, the program you have been set. They will have your personalised workout card to show you and together you will work through the set of exercises. At the end of your Buddy Session, you will know what to do next and when you need to attend. You will be encouraged to book in for some of the small supervised strength group sessions to help you settle in fully. Your Buddy will explain that they will be seeing you every eight weeks to do your weigh and measure, review your progress and make necessary changes to your program. Why do you do so much consultation work? 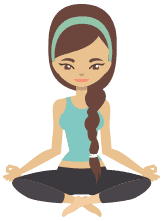 Finding out all about you, your past exercise history, your successes and failures with exercise and diet, your current “wishlist” in relation to health, fitness and wellbeing are essential for people starting an exercise routine. This “body-housekeeping” journey is unique to each one of us and this is why so many questions need to be asked and answered. A carefully tailored exercise plan will give you a much better chance of “sticking” to your exercise. Results can only happen when we do! What can I use to help fund my Green Apple membership? When you have your initial consultation with a Green Apple team member, and your ideal plan worked out with you, this is when we will discuss with you how to go about funding your membership. It will depend on whether you have a referral from your GP, have a private health fund, or are happy to self-fund.